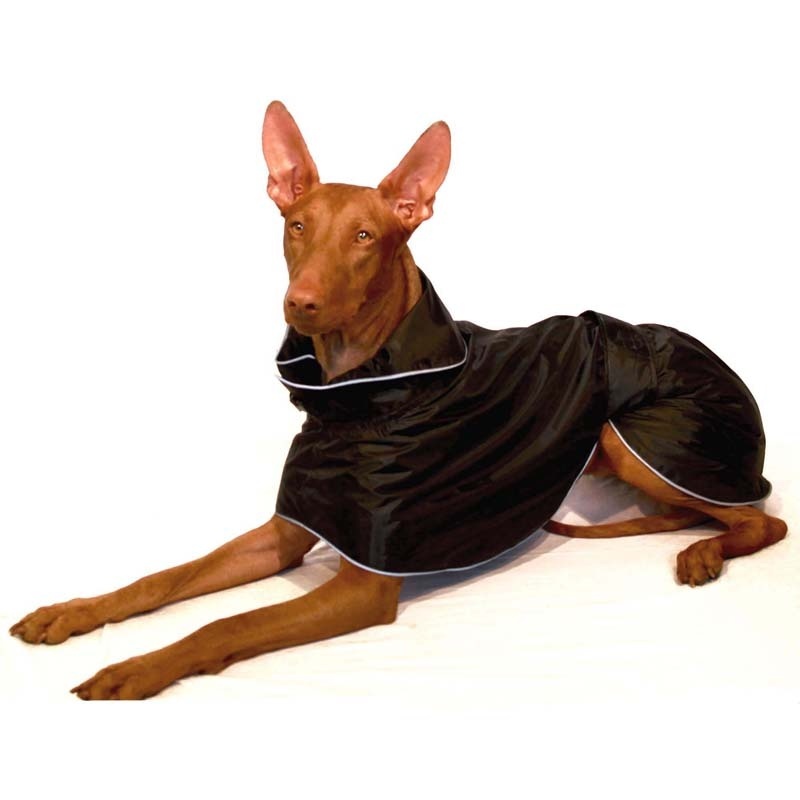 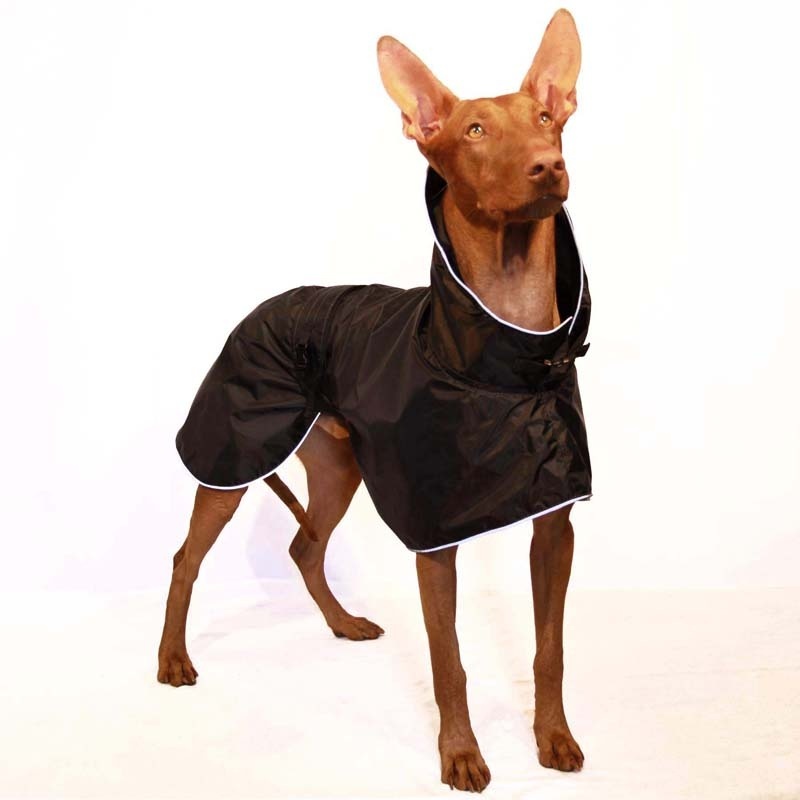 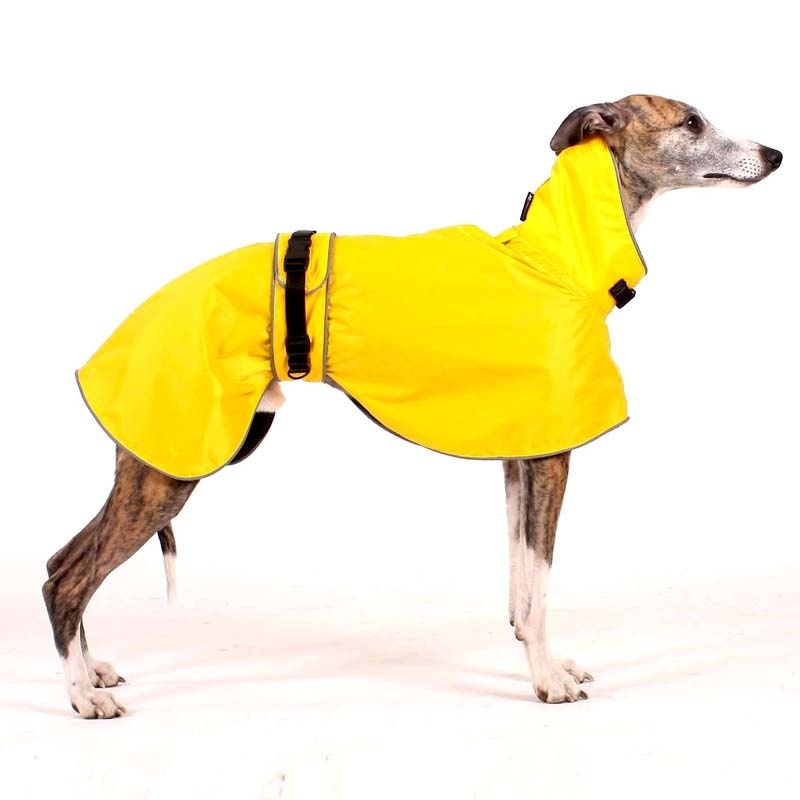 Raincoat in classical shape protects your dog perfectly against the rain. 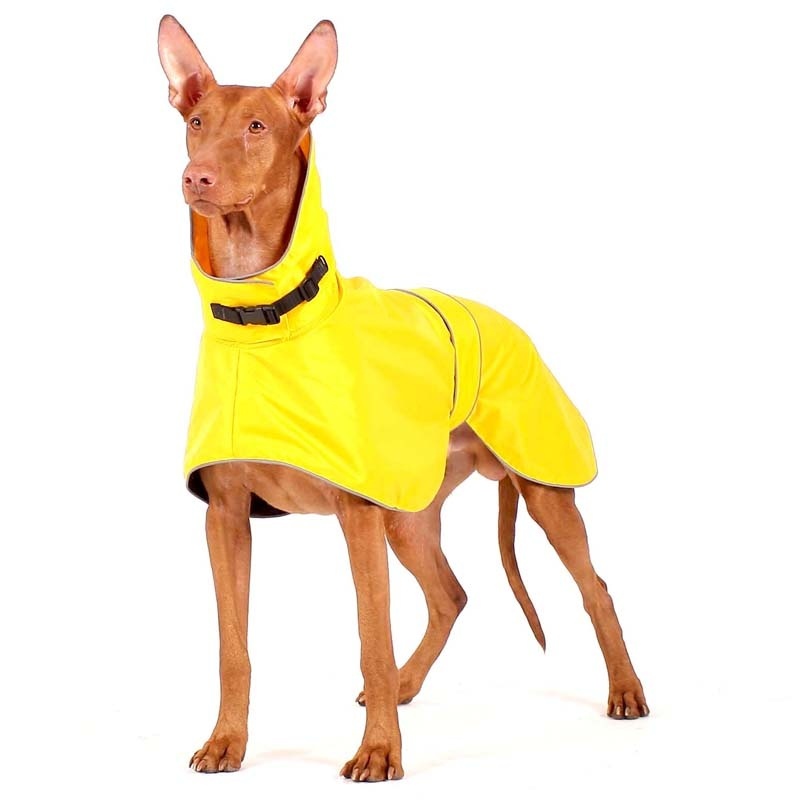 Upper material is 100% PES with PVC coating, waterproof and resistant. 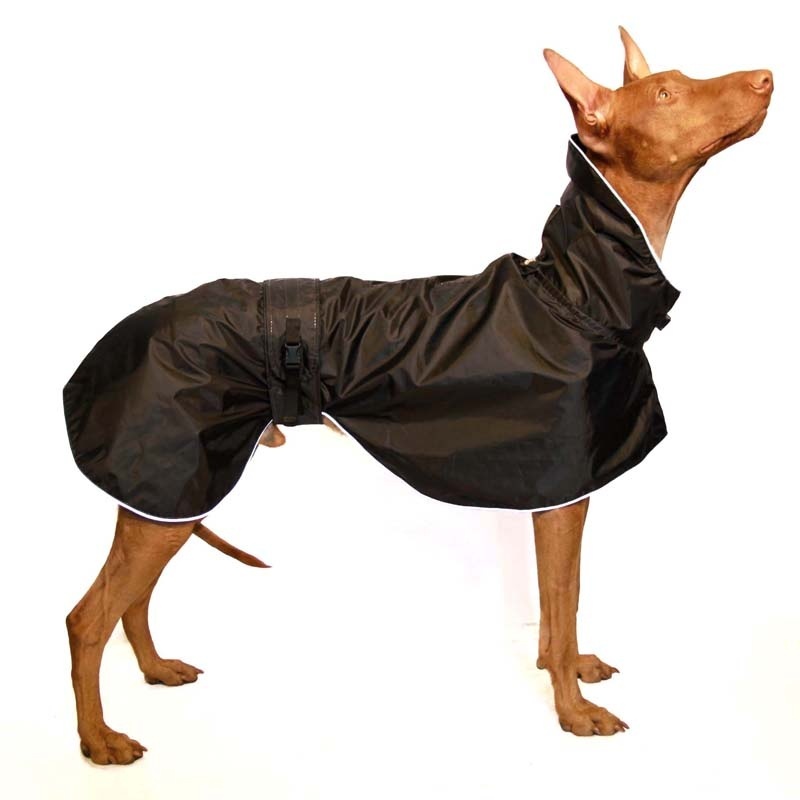 Inner lining helps to ventilate the moisture condensation under the raincoat. 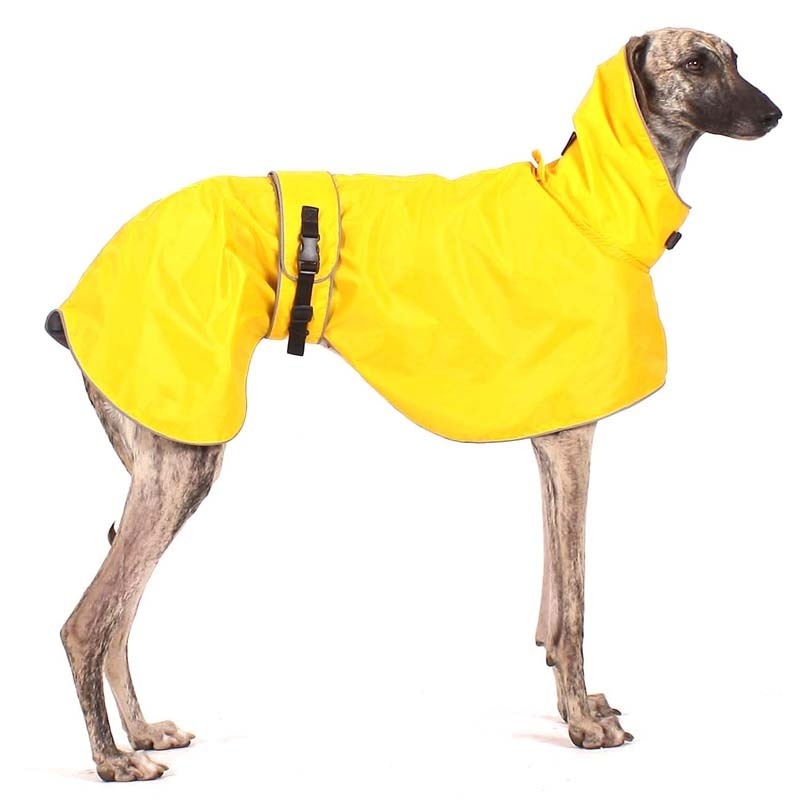 The waist belt is closable with plastic buckle. 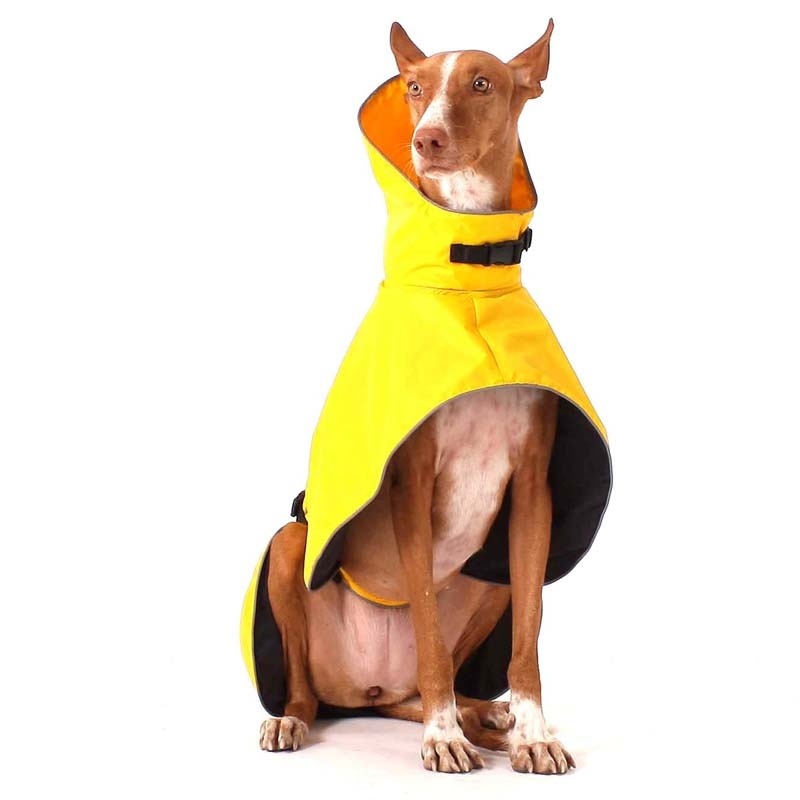 The adjustment around the neck is also possible. 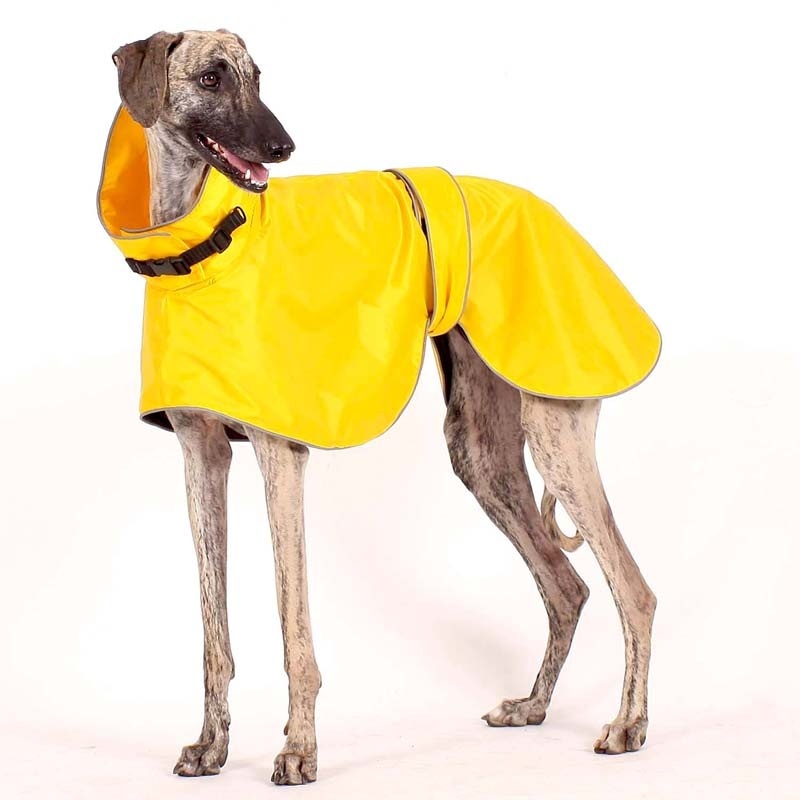 The raincoat is fitted with reflective marks, the hanging loop and the closeable opening for the lead. 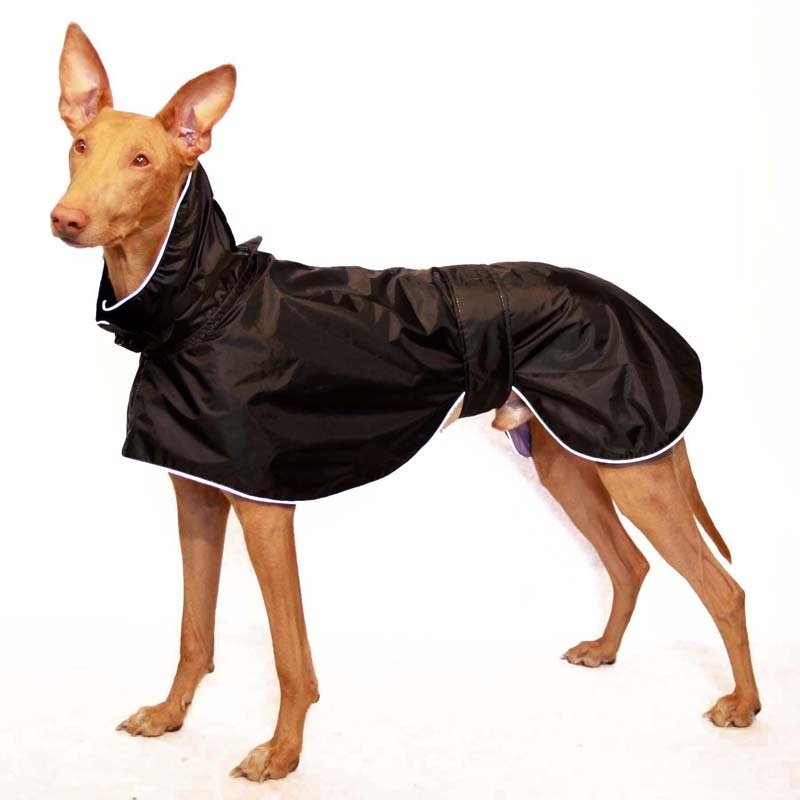 The shape of the bottom line allows free movement of the front legs and also covers well the dog´s body on the sides.